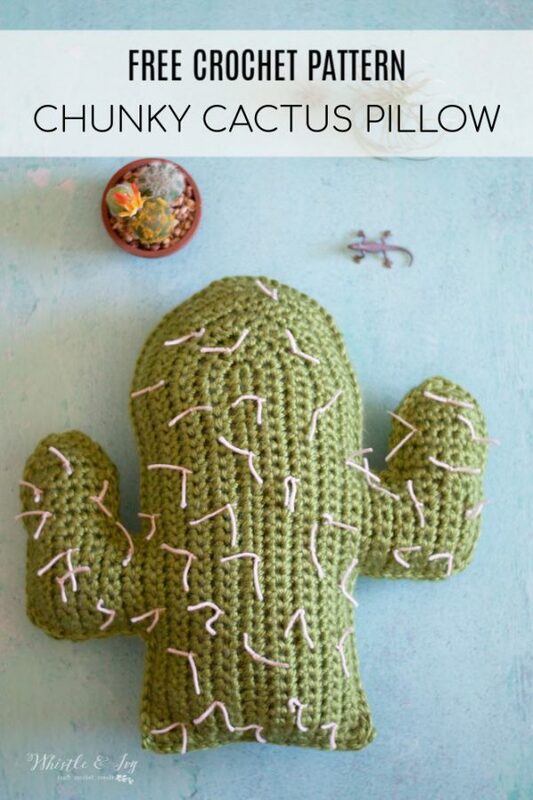 This pretty crochet cactus pillow is very easy to make, perfect for your desert chic decor! Try playing with different hooks and yarn weights to get different sized pillows. This cactus pillow will add new life and brighten up your space. This post contains affiliate links which means I get a small commission if you make a purchase at no extra cost to you. Thank you for your support!